Sign Spinning is a cool, fun and interactive twist on walking billboards. 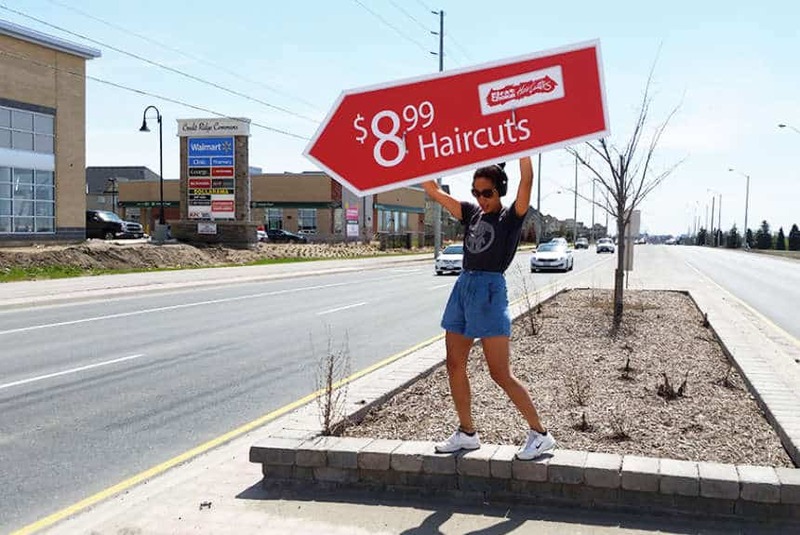 Also known as Human Directional Sign Spinners, people take your message, along with their impressive sign-twirling techniques out to specific locations, and command attention for your business. There’s an art to Sign Spinning – it’s so much more than a person holding a sign with your company’s name and logo on. 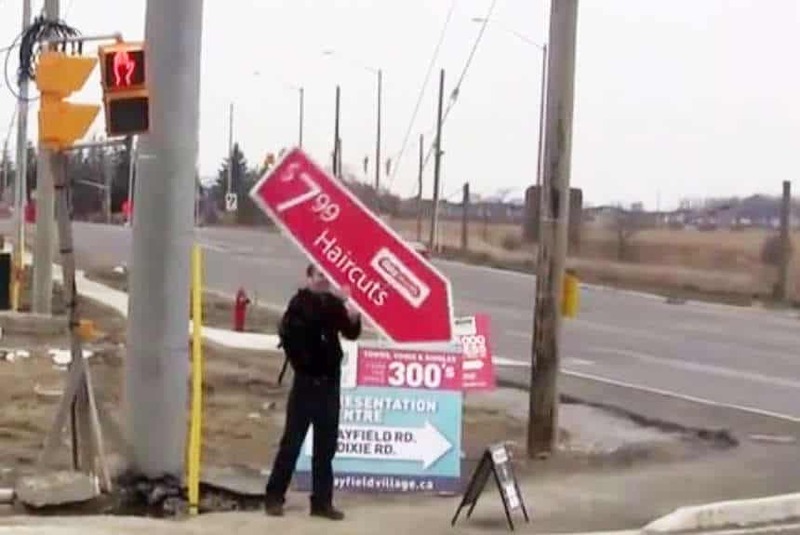 What takes this form of advertising to the next level is that the skills used to twist, turn, rotate and move the sign are truly impressive. Grabbing the attention of passers-by is now gained with acrobatics, dancing and tricks. Keep your eyes open for signs being thrown in the air as they spin, twirling signs on one finger and even riding the sign like a horse! It’s this continual motion that makes your message so conspicuous. Anyone walking or driving past will see your animated communication standing out from a relatively normal background. It’s unexpected and therefore unmissable. 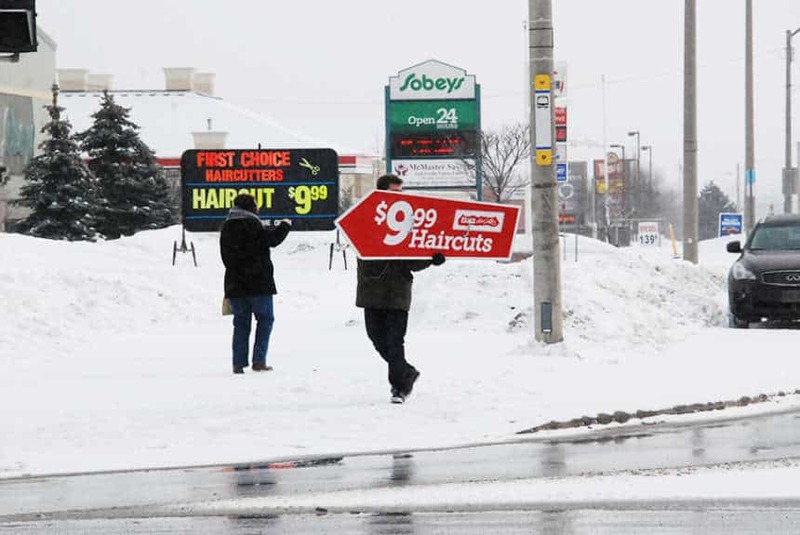 Human Directional Sign Spinners usually stand at a busy intersection or road near your company targeting people passing by. It’s a strong call to action that produces instant foot traffic and sales results. The signs are often arrow shaped, so when a potential customer sees your messaging they are immediately pointed in the right direction to seek you out, without any effort on their part. Big and small organizations are getting wise to the benefits of Human Directional Sign Spinners to help their business gain brand awareness. Companies can go from no one knowing they exist, to ‘on the map’ in just a few days, and it doesn’t take a multi-media campaign to achieve this. At Wild on Media, you can hire one Sign Waiver for one hour, or a whole team for a week. Either way it won’t take long before the local target audience starts to take notice of you. 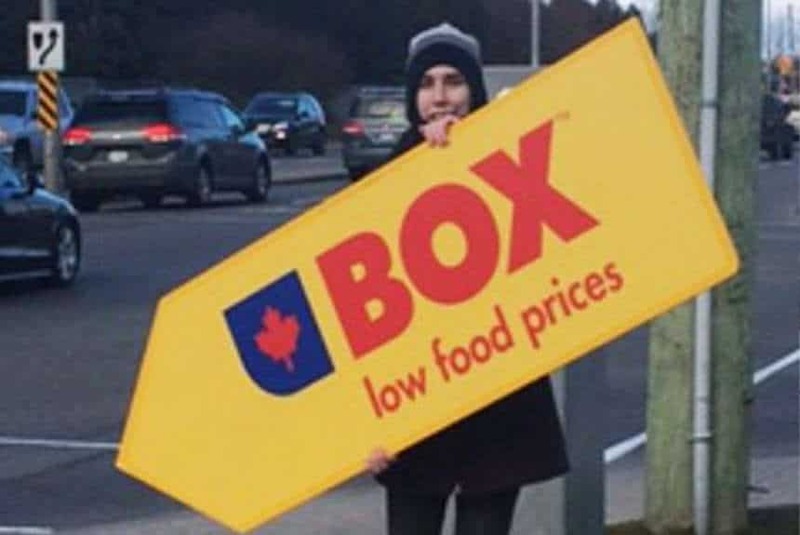 For the cost, Sign Spinners are hard to beat. While other advertising budgets can run into thousands of dollars, placing a sign holder near your company or organization to direct people to visit, is much easier on the wallet. Be part of the Sign Spinning revolution and watch your profits soar.